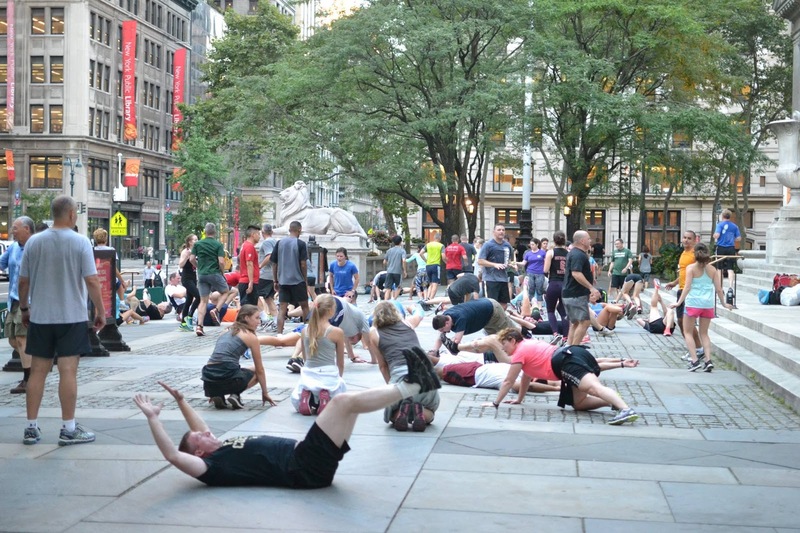 Wednesday morning's Boot Camp with The Rise NYC is a surefire way to start your day off with plenty of sweat, but even more high-fives and new friends. Last Wednesday, cadets and staff from West Point joined the workout, further expanding the circle of friends. The workout was the Rise's best-attended yet, with 106 participants. 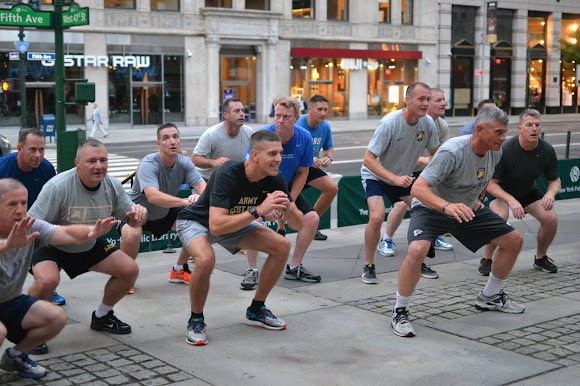 The West Point crew led part of the workout, and presented the group with a certificate of appreciation at the end. "For leading an extraordinary physical training for members of West Point's annual Strategic Planning Symposium. The robust workout allowed members of all levels of fitness to push themselves towards physical improvement." 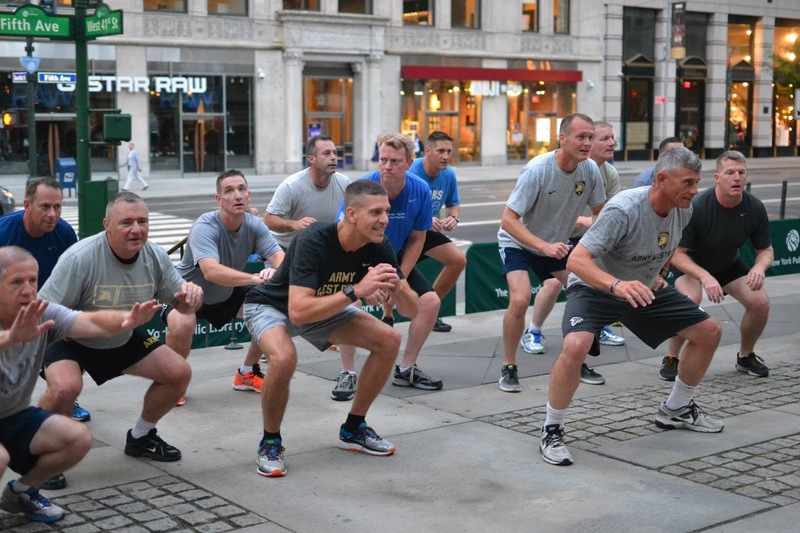 Now the question is, which group regularly works out harder: the cadets or the Rise? 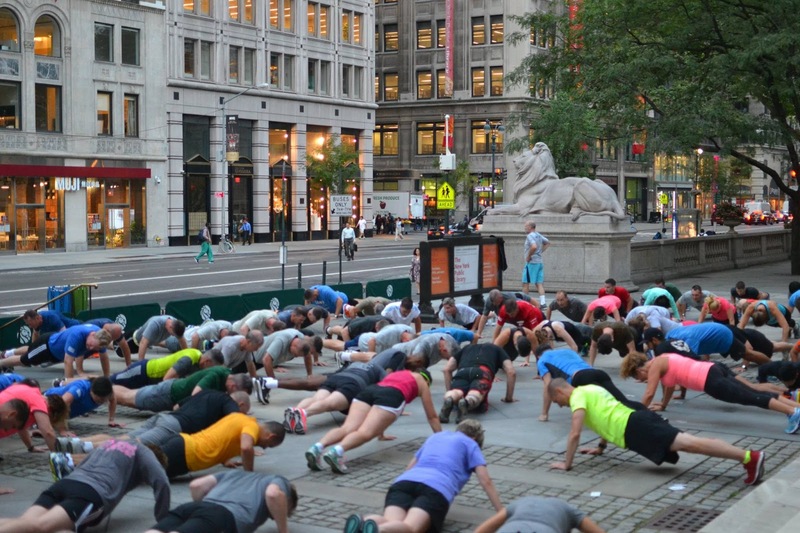 You can find out yourself by joining one of the Rise's workouts every Wednesday at 6:30am. ...and other bodyweight exercises got the blood pumping. 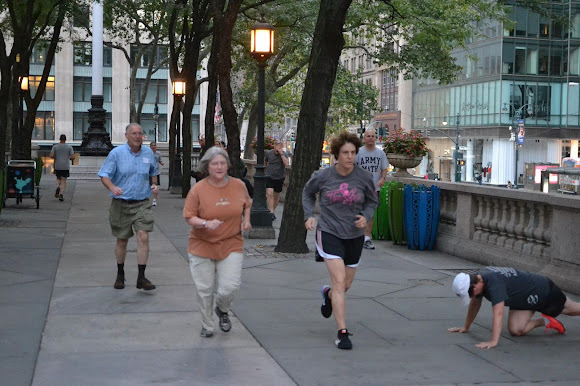 Running intervals were interspersed in between calisthenic exercises. 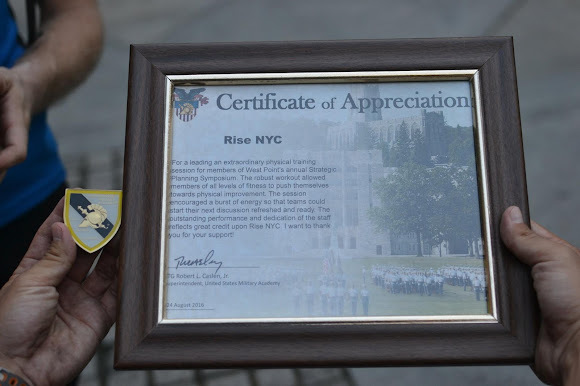 The superintendent of West Point presented the boot camp with a Certificate of Appreciation. 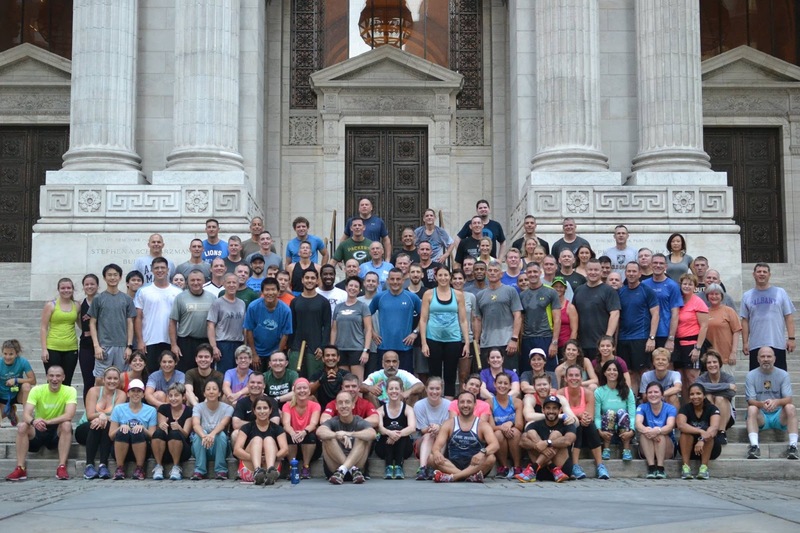 After class, everyone posed for a sweaty and satisfied group photo.